All pilots can benefit from further learning. 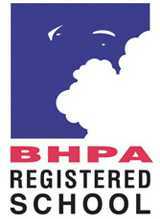 We all learn the basics in an BHPA school and are then largely left to teach ourselves the rest. The result is that we learn those basics very fast and usually very well, but then progress very slowly, if at all, along the road to become the pilot most of us desire to be. Skylark can help you along that path. With a little extra tuiton occasionally, you'll find great leaps in progression, satisfaction and enjoyment. Whatever your level, whatever your hold-ups, we can help you move on with a tailor-made coaching session. Try our mix of teaching specific skills, sport psychology and assistance refining your equipment. you'll find a little extra at the right times makes a big difference. This normally done one-to-one or with your small group of flying buddies. We're off to India to a paragliding paradise for a trip, part holiday and part flying course. 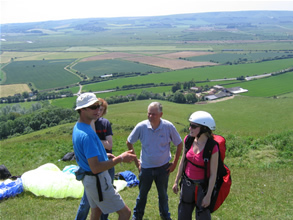 With excellent instruction on hand you can expect to return having found yourself, at least those parts more concerned with flying gliders!